Whatever the ultimate outcome, last night’s decision by the Supreme Court to grant an emergency stay blocking enforcement of a Louisiana law requiring abortionists to have admitting privileges at a local hospital could well mean the justices actually might consider the reasons the federal appeals court upheld Act 620. The core of the case against the 2014 Louisiana law is found in the 2017 opinion of Judge John W. deGravelles of the Federal District Court in Baton Rouge. 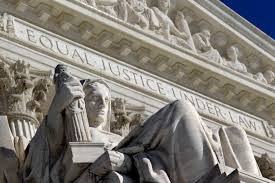 He concluded the law was essentially identical to Texas’ HB 2 law which the Supreme Court (then consisting of only eight members due to the death of Justice Scalia) struck down in its 2016 Whole Woman’s Health v. Hellerstedt decision. A divided three-judge panel of the 5th Circuit begged to differ with Judge deGravelle. Pro-abortion litigants asked the full 5th Circuit to hear the case, but were rejected, 9-6. The plaintiffs then asked the Supreme Court for an emergency stay.